And five ways they can’t. Feb. 02, 2018, 9:00 a.m. When we ran through our position-by-position breakdown of the Eagles and Patriots and one thing became rather clear: The Eagles are really good, and probably better than the Patriots as a football team. If Carson Wentz were playing, considering the year he had before getting injured, there is no doubt the Eagles would be favored. As it stands, of course, the Eagles are going into the Super Bowl as underdogs. But given the way Nick Foles has played in the playoffs, there’s a real, legitimate chance the Eagles are the better team. This game is going to come down to every last detail, and individual moments that will make the difference. Here are five ways the Eagles can win the Super Bowl. And five things that would make it so they can’t. Much has been made about the Eagles’ run defense being legendarily good, but the pass defense this year ranked squarely in the middle of the NFL pack. Jim Schwartz has shown a tendency to allow his front four to create pressure on the quarterback rather than relying on too many blitzes that would further expose linebackers and defensive backs in one-on-one coverages. The Eagles had just 38 sacks this season, 15th most in the NFL despite the defense having faced the second-most passing attempts in the league. The Patriots allowed 35 sacks on the season, 13th fewest in the NFL, though they attempted the seventh-most passes. Neither team is great when it comes to this part of the game. But pressure on the quarterback doesn’t always end in a sack. Pressure can create an errant throw which leads to an interception, like the pick-6 the Eagles had against the Vikings. Pressure can force a quarterback to throw the ball earlier than he wants, or short of a first-down marker. And that will come from up the middle. The Eagles have one of the top rated offensive lines in football, but they did allow 36 sacks this season, only the 16th fewest in the NFL. The Patriots had 42 sacks — tied for seventh best in the NFL — so as much as getting to Brady will be a key for the Eagles’ defense, keeping Nick Foles upright is a priority for the offense. Foles has been sacked just twice this postseason, and the line’s ability to protect him, to go along with an expert gameplan to get the ball out of his hands fast, has been instrumental to the success of the offense. Since he took over for an injured Carson Wentz back in Week 13, Foles has completed an outrageous 93.8 percent of his throws without an interception when the Eagles use a run-pass option. That’s compared to a 61.5 percent rate and a pair of picks on non-RPO plays. The Eagles had 20 turnovers this season, losing 11 fumbles and throwing nine interceptions. The defense forced 31 turnovers, 12 via fumble and 19 interceptions. The Patriots had just 12 turnovers all season, the second-fewest in the NFL, with four fumbles lost and eight interceptions. The Pats defense, meanwhile forced only 18 turnovers all season, six by fumble recovery with 12 interceptions. But here’s a weird stat: Nick Foles threw just two interceptions on 101 attempts this season and has no picks in 63 attempts in the playoffs. But he fumbled the ball six times this season, losing two, and had two fumbles in the playoffs so far, with the Eagles managing to recover both. Limiting mistakes doesn’t only mean limiting turnovers. The Eagles and Patriots both had just 19 recorded drops in 2017, so for a team that was plagued by drops last season, finishing the year tied for 18th is remarkable. The Patriots thrive on exploiting mistakes in the blocking scheme, so the running backs will need to make sure to read where the pressure is coming from on every snap, while the defense will have to cover the bevy of Patriots receivers without giving up a big play or penalty. The real key to beating Brady? Keep him off the field. Carson Wentz was having a historic season on third down, but Foles has been pretty good himself. He completed 56.4 percent of his passes this season and 59.2 percent on third and fourth downs. On 3rd-and-7 or more, Foles completed 15 of his 23 passes. The Eagles have converted 16 of 27 third down attempts this playoff season, plus their only fourth down attempt. Opponents have converted just 11 of 30 third and fourth down attempts in the playoffs. As for time of possession, the Eagles had the ball for 34:04 in the NFC title game, compared to just 25:56 for the Vikings. Against the Falcons, the Eagles had the ball for 32:06 to just 27:54. The Eagles ran through a tough Wednesday practice after Pederson had the team take an extended break in the middle of the session to simulate the longer halftime they’ll face in the Super Bowl. Chris Long talked about how the long pregame and halftime will be an issue to keep loose and focused headed into each half. This is new for most Eagles, but the Patriots have been to the Super Bowl a lot. They’ve done this before. In their last three Super Bowl wins, the Patriots outscored their opponents by a total of 62-31 in the second half and overtime. In their last two Super Bowl losses — both to the Giants — they were outscored a combined 26-14. Win the second half, and you can win the game. Who’s going to cover Gronk? Rob Gronkowski was hurt for Super Bowl LI. He’s actually been hurt quite a bit in his career, missing 21 regular season games over the last five seasons. But when he’s on the field, he’s almost unstoppable. In 12 playoff games, Gronk has 59 catches, averaging 14.5 yards per catch, with 10 touchdowns. In his last seven playoff games, he’s scored in every one but the win over Jacksonville, when he was concussed and left before halftime. The leader in fourth-quarter comebacks in playoff history? Brady, with eight. The next-closest is Joe Montana with four. In seven Super Bowl games in his career, Brady has completed 67 percent of his passes for 2,071 yards and 15 touchdowns. He has thrown five interceptions — including four in the last three games he’s played — but he’s also thrown eight touchdowns in those games, and has a career passer rating in the Super Bowl of 95.3. That’s good. We’ve made the case that Pederson should have been NFL coach of the year for the job he’s done this season. But he’s just in his second year, and while he went to two Super Bowls as a player, this is his first as a coach. Frank Reich, the Eagles offensive coordinator, went to four Super Bowls as a player, but he lost all four. He hasn’t been there before as a coach. Jim Schwartz, the defensive coordinator, went to one as a coach and lost. What’s more, as this CBS Sports story shows, Brady has fared very well against Schwartz-led defenses. After throwing for just three touchdowns and an interception over the first four matchups against Schwartz’s defenses, Brady has thrown for four scores and no picks in each of the last two games against Schwartz-coached teams. The Patriots have the greatest coach in the history of the sport and two coordinators who are going to be head coaches next season. Look, this is stupid, I know. Nick Foles isn’t going to throw a fourth-quarter interception in the Super Bowl just because both Donovan McNabb and Ron Jaworski threw fourth-quarter interception in the Super Bowl. He probably won’t barf in the huddle just because McNabb may or may not have barfed 13 years ago. But history matters. The Patriots are 5-2 in this era for a reason. 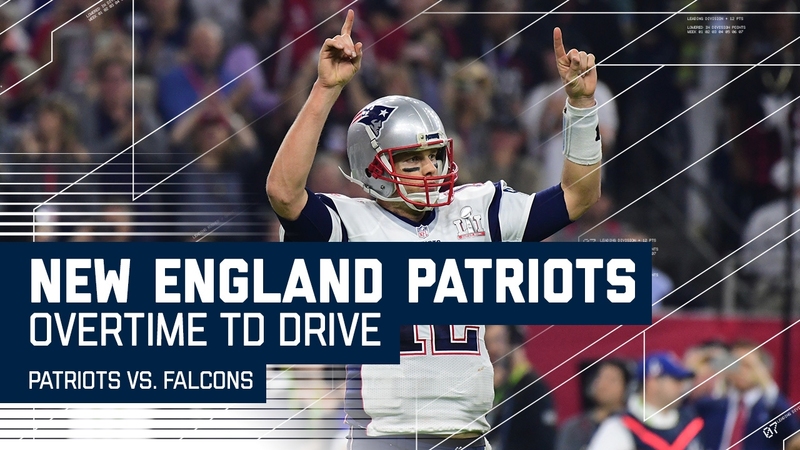 New England won three Super Bowls in four years, went nine years without winning one — losing two — and now have a chance to win three in four years again. The last NFL team to win back-to-back titles was the Patriots. Who’d the beat to do it? The Eagles. The Eagles — SAY IT WITH ME PHILLY — have never won a Super Bowl. History matters, and it’s stacked heavily against the Eagles. But given all this team has been through, maybe this is the year a team from Philly gets to tell history to go screw.